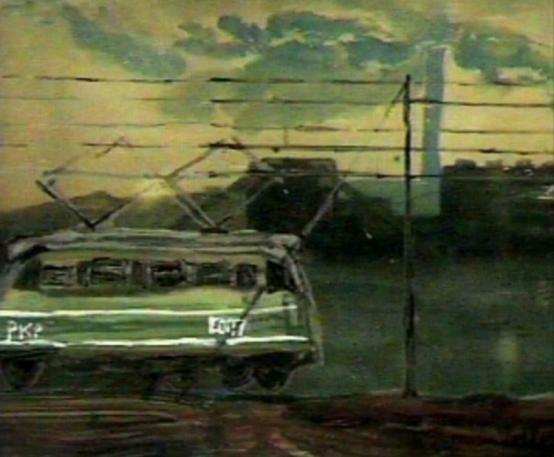 Animated road cinema which refers in its poetics to the famous film A Trip by Daniel Szczechura or the moving debut of Jerzy Kucia – The Return. A train starts off the station. Landscapes, sleepy towns and villages, empty space passed on the way are left behind. Times of the day, seasons of the year change… Full of poetry and pensiveness, this film study has been made under the artistic patronage of Professor Jerzy Kucia. Born in 1981 in Żyrardów. She is a student of the Department of Painting and the Animated Film Studio of Professor Jerzy Kucia at Cracow’s Academy of Fine Arts. She works on animated films, paintings, drawings, graphics and artistic books. Her film study Journey to the East is her film debut.